FREE 11x14 Canvas from Canvas People! You are here: Home / FREEbies / FREE 11×14 Canvas from Canvas People! FREE 11×14 Canvas from Canvas People! We have a HOT FREEbie for you today!! 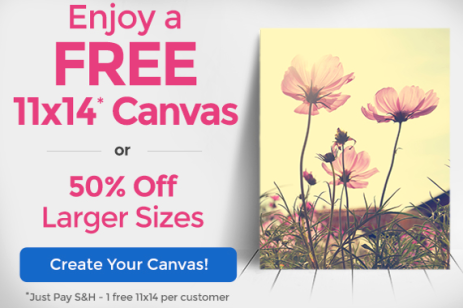 Canvas People is giving you a FREE 11×14 Canvas or 50% off Larger Sizes – just pay shipping and handling which is $18.95. These make wonderful Christmas gifts for grandparents!